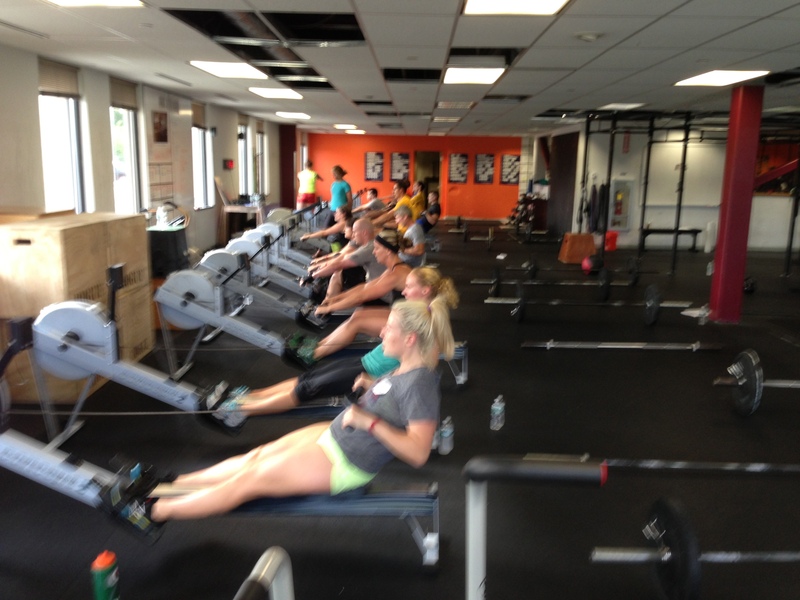 Week 2 of Renegade Rowing Team, Get excited! It’s been 4 weeks since we’ve attacked this Rowing WOD. Look back at your results and see if you’re ready to step it up another notch. This is a great opportunity to get in some solid race pace work and prepare for our next benchmark. This Saturday we will test the 500m. As a quick review for novice rowers, race pace is at a stroke rating of 30 − 34 strokes per minute and a consistent 500m split. The lower the split the better. Good things to focus on include breathing, getting the knees down, driving through the heels, quick hands, and being smooth. I also like to coach a smile or grin 10 just to take yourself out of your body for a second, have some fun, and then refocus with a fresh mindset. Focus on one positive thought for 10 consecutive strokes and you’ll be that much closer to your goal.